You can register directly at the conference venue. Starting from 2015, the GE Annual Meeting registration fee does not include the GE renewal membership. Special discounted registration fees will be applied to GE Members 2015. (*) Valid only for 2015 GE members. IMPORTANT NOTE: please clearly specify the name(s) of the partecipant(s) in the bank transfer motivation, e.g., “GE2015 MARIO ROSSI AND CARLO BIANCHI”. 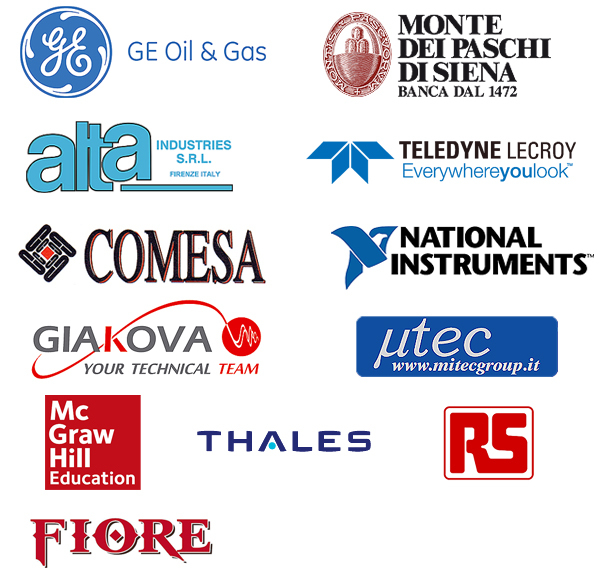 On-Site: by credit card (VISA, MASTERCARD), cash , or non-transferrable check to “Associazione Gruppo Italiano di Elettronica”. IMPORTANT NOTE: please clearly specify the name(s) of the partecipant(s) in the bank transfer motive, e.g., “GE2015 MARIO ROSSI AND CARLO BIANCHI”.